Back again after a good night's rest. Tonight I will be checking out Melancholia by controversial mastermind Lars Von Trier, but first here are some thoughts on the second film from last nights double header. Le Havre from Aki Kaurismaki is a wonderfully charming film, devoid of cynicism and postmodern commentary. It is a timeless film that reminds us all the potential each of us have inside, and the ultimate strength of humanity. 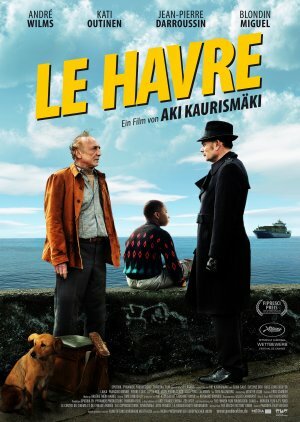 In his traditional deadpan manner, Kaurismaki crafts a film that wants to tiptoe into absurdity with long awkward takes holding closeups to let reactions sink in we are told the tale of Marcel Marx, a devoted husband and shoe shiner living in Le Havre. His wife cares for him, but quickly falls terminally ill. 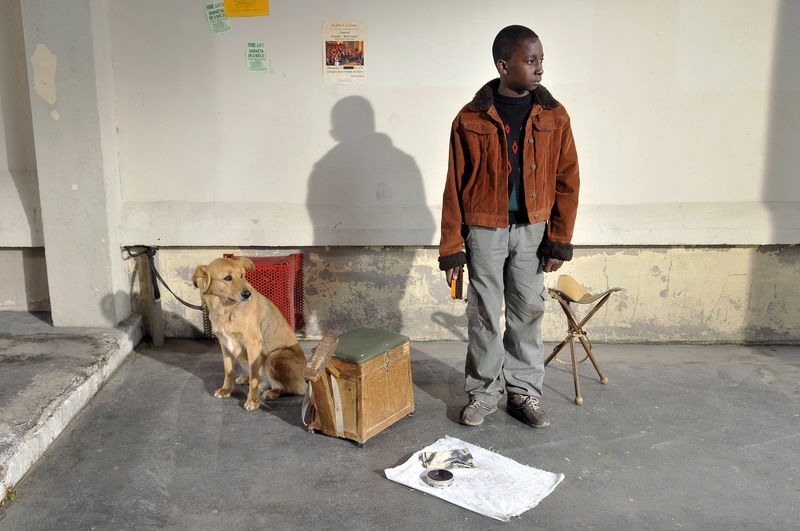 While she is in the hospital Marcel stumbles upon a young African refugee trying to go to London to see his parents. He ultimately decides to shelter the young child from the authorities and the whole neighborhood bands together to help ths young man avoid capture and help reach his family. There is no fancy camerawork here, but gorgeous cinematography highlighting the character and personality of this old French neighborhood. We can see every paint chip and every faded painted wall as we stroll through Le Havre. The town is populated by wonderfully eccentric people, from Chang, who passes himself off as Chinese even though he's Vietnamese in order to have the proper papers, to the Bar owner who apparently has a history with our focused and stern detective. The lead is of course Marcel, and as stubborn as he seems, his heart is never hidden from the audience. This isn't about him finding a purpose in life, this is about him achieving something meaningful. He is worried about his wife, and helping this young boy is the only thing keeping him going. 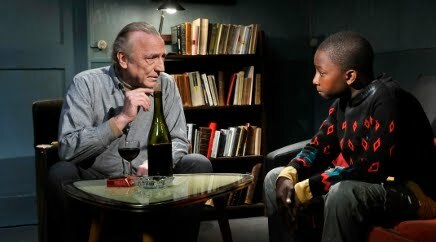 The comedy is again reminiscent of old French films, based on wit and situation. This isn't about "jokes" or bits, the comedy comes from the reactions and actions of the people. Whether its Marcel's subtle attempts at shining shoes, to a shop owner closing his gate, to a discussion of scallops. Kaurismaki makes us laugh at the eccentricities of everyday life. Quite a departure from A Dangerous Method, but an enjoyable film that I'm sure will stand the test of time. It is an uncomplicated slice of life, that praises humanity, something that is refreshing to see come from such an established director. One last thought - One person likened this film to Renoir, and while I see the connection in its playful tone and quick script, Renoir has much more to say about class structure than I feel Kaurismaki is going for here. As much as I enjoyed this film, it is nowhere near the works of Renoir.